Welcome to our Under Counter Drawer Box section. We have 3 different ranges of drawers for you to choose from Under Desk Ball Bearing, Soft Close Ball Bearing and Push To Open. All of the drawers are135mm high. Available in 350mm, 400mm, 450mm and 500mm Depths. There are 5 different colours to choose from; White, Light Oak, Cream, Beech and Titanium. 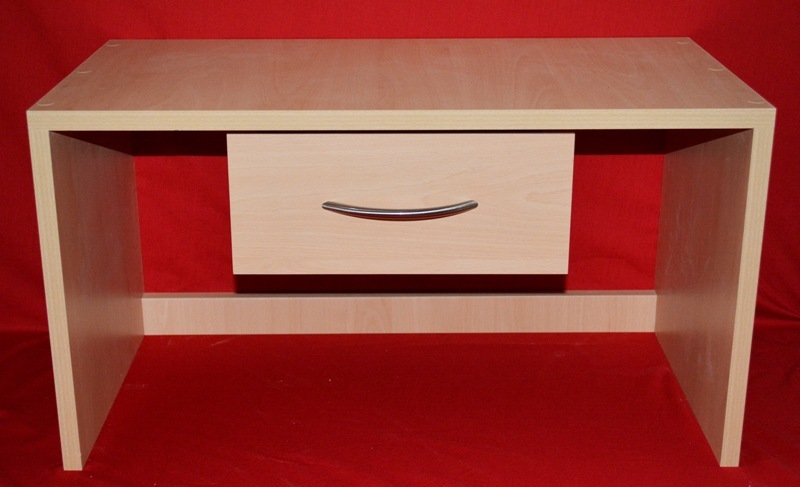 This drawer box can be used for under a counter or under desk, under worktop, dressing table drawer and can be fixed under any work surface. All of the under counter drawer boxes comes fully assembled and ready to fit. Is 18mm thick with 8mm base and top mounted runners.